From March 21st to 26th take advantage of our Spring Open House Promotion. 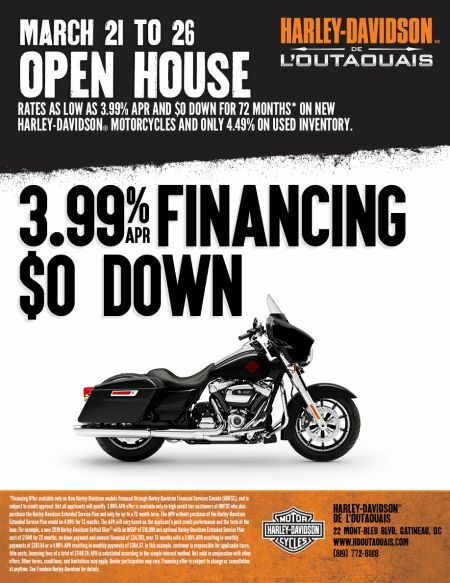 Get rates as low as 3.99% APR with $0 down for 72 months on all new 2019 Harley-Davidson motorcycles. Also as low as 4.49% financing on our used inventory. See details in store.